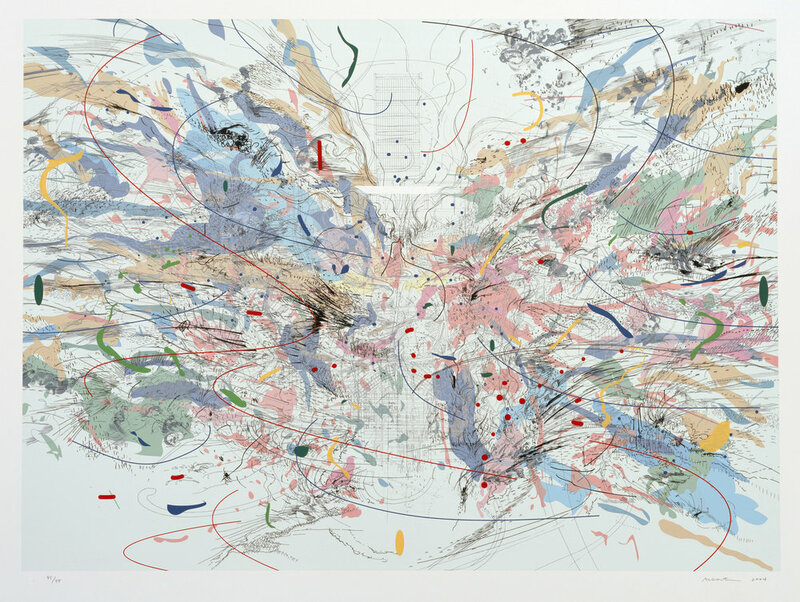 Opening on August 18, 2016, Minnesota Museum of American Art's exhibition Brick x Brick will feature Julie Mehretu's Highpoint Editions print, Entropia (review). The show's press release states, "Brick x Brick is a group exhibition that foregrounds the slow and deliberate process of building as a way to understand the social and cultural topographies of cities and the built environment. Artists represented in the exhibition use a diversity of media—including photography, painting, sculpture, drawing, and craft—to show how building contributes to and disrupts the features of local, national, and international urban landscapes." The exhibition will showcase works by over 30 artists from across the country, including 15 from Minnesota. A public reception will be held on Thursday, August 18 from 7-9pm. The show will be on display until December 30, 2016. Click here to view the Minnesota Museum of American Art exhibition webpage.